Tháinig iarscoláire na Modhscoile ar cuairt chugainn inniu agus bhí seans ag Rang II agus Rang V buaileadh leis. D’fhreastail Gerry Andrews ar an Modhscoil i rith na gcaogaidí. Ar an Satharn, 3ú Meán Fómhair 1977, dódh an foirgneamh nach mór go talamh. 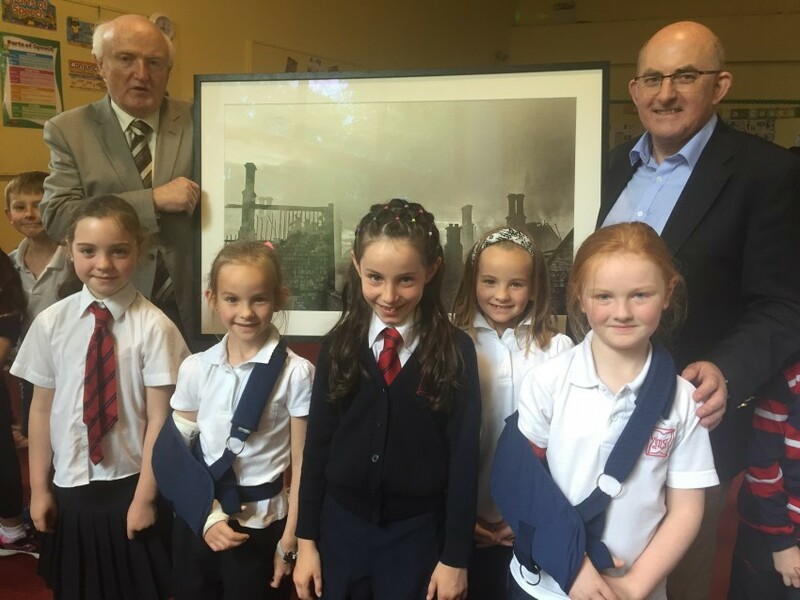 Is grianghrafadóir den scoth é Gerry agus thóg sé a lán grianghraif den scoil ar an lá. Rinne Rang II tionscadail faoi agus sheol siad litir chuige. Tháinig sé inniu chun labhairt le Rang II agus chun bronntanas álainn a bhronnadh ar an scoil- prionta mhór de cheann de na griangraif a thóg sé an lá sin. Bhí sé an-suimiúil agus táimid go léir fíor-bhuíoch dó. A past pupil of the Model School came to visit us today and Rang II and Rang V were given the opportunity to meet with him. Gerry Andrews attended our school in the 1950s. On Saturday, September 3rd 1977, the school building was almost completely destroyed in a fire. Gerry, who is a skilled photographer, took many photos of the school that day. Rang II (S17) did projects about him and wrote him a letter. 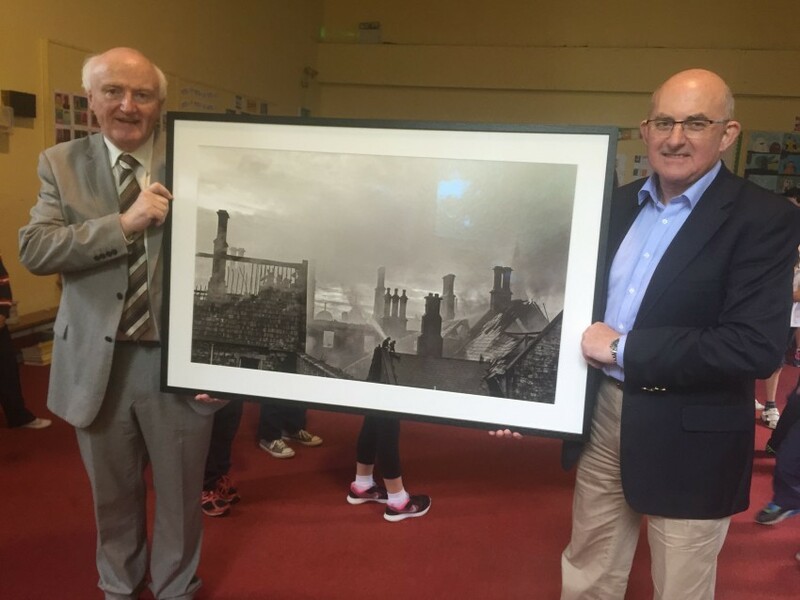 As a result of this, he visited to talk to Rang II and to present the school with a beautiful gift- a large print of one of the photographs which he had taken on that fateful day. It was very interesting to listen to him speak today and we are very grateful to him for all that he did.